In two years passed since the 5th Workshop in 2016, we witnessed a rapid development in the field of combinatorial methods in application to geometry and mathematical physics. 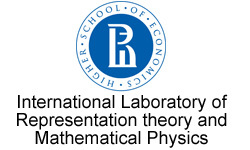 Besides topics traditionally present in the workshop agenda, notably, cluster algebras and topological recursion, we are going to organize discussion on new, interdisciplinary in their nature, trends in this field including a newly constructed abstract topological recursion apres Kontsevich and Soibelman, the deepened links to cohomological field theories, and relations to quantum information systems. We are going to discuss applications to quantum Riemann surfaces and to knot theory and knot invariants. Not in the last place is the modern development of cluster structures in Lie algebras, including classical and quantum algebras of monodromies of Fuchsian systems, and other fascinating topics related to clusters. We hope to bring together specialists actively working in the field for exchanging ideas in the inspiring scientific environment of early summer in Moscow. 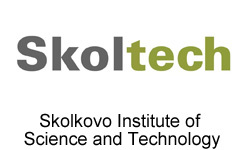 the Skolkovo Institute of Science and Technology (Skoltech) (last day). 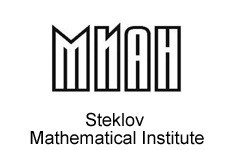 The Mathematical Department of the Higher School of Economics is in downtown Moscow, the Steklov Mathematical Institute is situated near Leninsky Prospect — one of the main Moscow streets — and in the area where most of Academic Institutions and the Moscow State University are located, and the Skoltech is in the outskirts of Moscow (transportation for participants will be provided). The registration fee is 150 USD (120 Euros) for foreign participants (paid upon arrival by those who can cover it from their grants or institutions) and 3000 roubles for participants from the FSU (paid only by those who can cover it from their grants). This covers also the welcome party and the conference dinner. For all invited speakers and for a limited number of other participants, with the preference to younger researchers, the organizers will arrange free accommodation in the Professor Guesthouse of the HSE. All nationals except for some countries of the FSU, South Korea, Israel, and most countries in Central and South America, need visas to enter Russia. Because it takes time to arrange invitation and to proceed the visa application in a Russian consulate, we strongly recommend to ask for your visa at least six weeks prior to the workshop date. Due to limited funding, the organizers as a rule do not cover travel expenses of the participants when traveling outside Russia. When necessary, we organize transportation from and to Moscow airports. 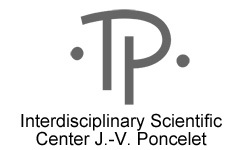 Depending on the success of PARCECO grant application, the organizers might be able to cover travel expenses of French nationals and researchers holding permanent positions in French scientific institutions.